After a lone gunman stalked the halls of Marjory Stoneman Douglas High School in Parkland, Florida, in an attack that left 17 dead, there was the invariable outpouring of condolences on social media from some lawmakers. 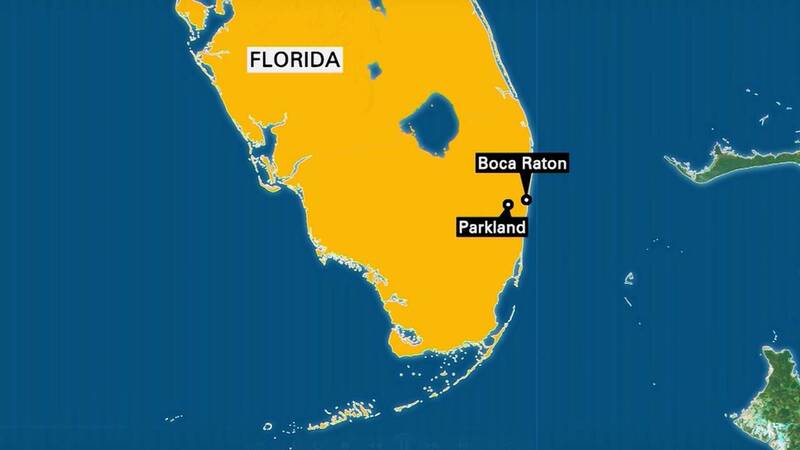 NEW YORK (CNNMoney) - After a lone gunman stalked the halls of Marjory Stoneman Douglas High School in Parkland, Florida, in an attack that left 17 dead, there was the invariable outpouring of condolences on social media from some lawmakers. Bess Kalb, one of the writers for "Jimmy Kimmel Live!" offered up her own unique response to Wednesday's tragedy. Kalb took to Twitter, where she has 172,000 followers, and called out GOP lawmakers by tweeting what she said were the amounts in contributions they had received from the National Rifle Association, a nonprofit gun advocacy group. Kalb, an award-winning writer who is also a contributor to The New Yorker's "Daily Shouts" column and a writer for this year's Academy Awards, started by tweeting a Washington Post story headlined "Have your representatives in Congress received donations from the NRA?," an interactive feature last updated shortly after the Las Vegas mass shooting in October. "It is too late to not politicize school shootings," Kalb wrote on her official Twitter account. "We see you, NRA-supported US Representatives. And we're f***ng coming for you on election day." She then tweeted, "This is not a political issue. This is not a Constitutional debate. This is a pandemic that's killing children. And it's perpetrated by hypocrites who preach a doctrine of "life" but take money from a profit-driven gun lobby. @RoyBlunt @SenatorBurr @SenThomTillis @SenCoryGardner." Kalb followed that up with a tweet of a New York Times opinion piece about the members of Congress receiving the most funding from the NRA and listed some lawmakers along with the amounts they received. When Florida Sen. Marco Rubio tweeted, "Just spoke to Broward School Superintendent. Today is that terrible day you pray never comes," Kalb responded by tweeting "$3,303,355.00." CNN has not independently confirmed the amounts Kalb tweeted. Her boss Jimmy Kimmel also tweeted on Tuesday about the massacre writing, "The families in Parkland are suffering for no good reason. We send love, sympathy and prayers tonight and DEMAND that our 'leaders' do SOMETHING to stop this tomorrow. How many have to suffer before we stop looking the other way?" It's not the first time Kalb has used her voice on Twitter to share her feelings about the current administration. She mocked President Trump in May because she said he blocked her over a series of critical tweets. "From now on, there is only one Snowflake," she tweeted in response to being blocked. CNN has reached out to representatives for Kalb and "Jimmy Kimmel Live!" for comment.